That resulted in my thinking of two of Amy Chua’s critics on the Amazon Forum for Battle Hymn of the Tiger Mother and that these two are unable to grow and change from what they have learned. One of these anonymous critics calls herself Mandy Wu and the other JLee—both claim to be Asian and/or Chinese. In fact, JLee started out claiming to speak for all Chinese women when she voiced her opinions as a fact that Chinese mothers are not like Amy Chua. Later, the China Daily would prove her wrong, which led to JLee calling me a Cyber bully. Both Mandy Wu and JLee have demonstrated that Western psychoanalysis has made them aware of how miserable they are and they have identified this misfortune with Amy Chua’s parenting style as described in her memoir. These two critics are unable to recognize their position in the forward sweep of time and to live in full awareness with the process of growth and change. They are stuck. I then went to the MDBG online Chinese dictionary and discovered that “Ai” means love 爱, which in Chinese is pronounced the same as the beginning of “Amy” and then I typed in “rice”, which appeared as “mi” or 米. In Chinese, Amy is written as 爱米 . 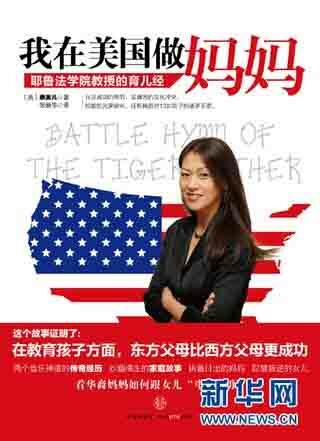 Then on April 22, 2011, Patrick Mattimore (chinadaily.com.cn) wrote Do ‘Tiger Moms’ make the best parents? What follows are a few excerpts from the China Daily opinion piece. Instead of listening to the intolerant opinions of inflexible fools from America, why not read what Sophia, Amy Chua’s oldest daughter, has to say in her letter to the New York Post or go to her Blog and discover for yourself that her tiger mother has not damaged her. 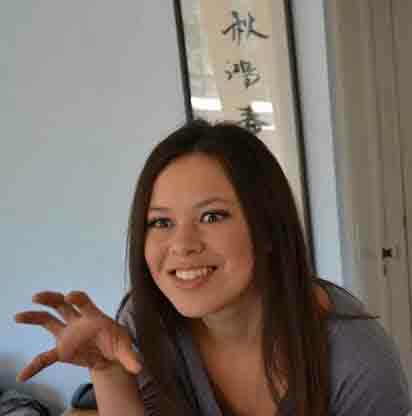 Sophia Chua-Rubenfeld’s Blog may be found at new tiger in town. I first ran into this particular wall of intolerance on the Amazon Forum where Amy Chua’s critics left reviews and comments about her parenting methods in a hate fest that had mostly nothing to do with the memoir. What these critics write are attacks on Chua accusing her of being a child molester, a sociopath, or a narcissist, etc. Often, these critics do not know what they are talking about and the biased ignorance runs deep. After more than four months, the evidence I have been looking for appeared in China when the China Daily published Tiger Moms’ Popular in China on April 14, 2011. “A Beijing high school teacher, surnamed Liu, was quoted as saying that his wife had enrolled their daughter in violin and ballet classes at an early age and had resorted to scolding and spanking when the girl refused to go. In addition, a critic of Chua’s on the Amazon Forum referred to an opinion piece posted on the Psychology Today Blog where Peter Gray, a research professor of psychology at Boston College claimed that 42 one-star reviews from anonymous people that identified themselves as Chinese was enough to conclude that the majority of Chinese (there are more than 1.3 billion Chinese and almost four million are in the US) were critical of Amy Chua’s parenting methods. When we compare Peter Gray’s opinion in the Psychology Today Blog with information from almost 2,000 people polled online in China, which source do you think is more credible? Bo Xilai may be a leader among Chinese conservatives but those conservatives are not Maoist revolutionaries dreaming of a return to the upside down world of The Cultural Revolution, which would turn China into a train wreck, and most Chinese have worked too hard building a modern, capitalist China to throw all that away. Maoists have followers as well as critics in modern China. While these supporters of Mao claim that it was during his era that China witnessed mass development in terms of economy, industry, healthcare, education, and Infrastructure, his critics (that have ruled China since 1976 leading to a middle class of about 400 million) hold a different view. According to them, the history of Maoist China was marked with uncountable deaths, and an extreme economic crisis that damaged China’s cultural heritage. What is the difference between the Maoists in China that are a minority in the Communist Party and the American Nazi Party in the US? Do we read pieces in the Western media criticizing the US for having an American Nazi party after what the Nazis did during World War II? If Bo Xilai sounds as if he wants to bring the Maoism of The Cultural Revolution back, he is probably doing what all “good” politicians do (even in the US), and that is telling people what they want to hear to gain support. After all, in 2012, China’s leaders are changing and Bo wants to get as close to the top as possible. That is not a secret. I feel compelled to write about a one-star review that appeared recently of Tom Carter’s China: Portrait of a People. In fact, as I write this post, Carter’s book has had 100 reviews. Eighty-eight earned five stars and eleven four-star reviews. There is only one one-star review. My wife is Chinese and was born in Shanghai (discover the modern city) during Mao’s Great Leap Forward then was sent to a labor camp as a teen during The Cultural Revolution. When she first saw the photos in Tom Carter’s book, she said he is the first and only photojournalist to capture the heart and soul of China. What she was talking about was the rural Chinese who have always been the invisible heart and soul of China. If it weren’t for those same rural Chinese, Mao and the Communist Party would have never won China’s Civil War. What follows is the rambling, rant of a one star review written by someone calling him or herself Xuemin Lin. Lin claims that the majority of Chinese belong to the emerging middle class. Lin is wrong. China has a few decades to go until more than a billion people join the modern middle class lifestyle. Even China’s leaders have admitted that China is not as developed as America or Europe and that China will never rival American super power status. The best China may attain is a regional military super power and a global economic super power. To understand what I mean, you may want to read Amy Chua’s Day of Empire: How Hyperpowers Rise to Global Dominance–and Why They Fall. It is a fact that China is modernizing at a pace never before seen in history and more than three hundred million Chinese now live in urban cities similar to Shanghai and Beijing and belongs to China’s middle class. However, that leaves about 1.2 billion people that have not yet joined that middle class and 800 million of those people still live as Carter shows us in his photos. If China accomplishes its goal to modernize most of China and lift the majority of Chinese into the middle class, the world that Tom Carter captured with his photos will vanish. Our only reminder of that China will be his book. When I visit China, I want to escape America for a few weeks but realize that I cannot escape the Golden Arches of McDonalds, or Starbucks, Pizza Hut and KFC, which is the worst thing China could adopt from America. In addition, China has also inherited the obesity, diabetes, heart disease and cancer that come with this fast food, middle class, and motorcar culture invented in the West. Some of America’s history captured in photos and song. In addition, I’ve complained that China has no artist comparable to America’s Charles Russell or Bev Doolittle — great artists that captured the heart and soul of the America that existed before Europe and the industrial revolution arrived to fill the air with poison. However, Tom Carter’s photos capture some of that world in China that will soon be lost. After China has paved over its past, without Tom Carter’s photos we would never know what that world was like. I prefer the China where people are practicing Tai Chi in the early morning fog.